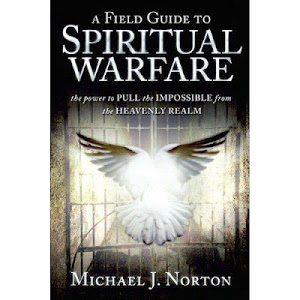 Today we're going reach into the Field Guide to Spiritual Warfare's mail bag and pull out a letter. Reaching into the mail bag, I pull out a letter, and it is from Ms. Michelle, and it is about the blog article, "Help Me I'm Cursed". You say you are a Christian, yet your first response in this blog is for the person to buy your book to get the proper prayer. Seriously? You need to make money off of someone who is down on their luck, or is cursed? You need to say, buy my book? Why couldn't you just tell them the prayer? Being a Christian, I would think that you wouldn't charge for helping them. Please explain why. I will try to keep it intelligent (I saw in a previous blog that you don't accept comments from unintelligent people). Please also note, if you post a comment, I require that it be an intelligent comment with facts to collaborate and support your point. I have an expectation of the maturity level of the person posting a comment to participate -- otherwise, I will delete it. The reason I posted this was that some people came in dropped derogatory comments, or opinions, that were in no way open to conversation or dialogue. Controversial arguments were ok, just, it had to be expressed in a way to invite conversation in the comment section. Otherwise, unsubstantiated and lewd comments were deleted. There are boundaries I would like to see people abide by in this space as we discuss some tough topics. Example of what I typically deleted from the comments, "People who believe in God are idiots." You say you are a Christian, yet your first response in this blog is for the person to buy your book to get the proper prayer. Seriously? 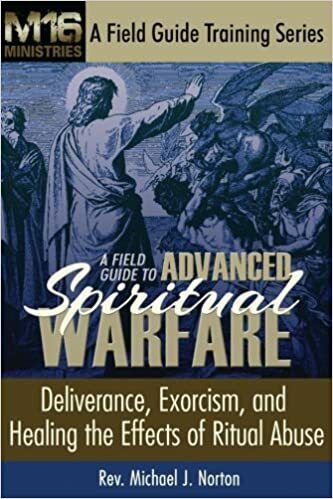 A good place to start when ministering in curse breaking is using my book, A Field Guide to Spiritual Warfare, in the appendix there is a curse-breaking prayer. It's been pretty effective in stirring up curses if they exist during the prayer session. If nothing shows up to the party during curse breaking just have a conversation afterward about the individual's system of beliefs about themselves. But the rest of the article was focused on dealing with the strongholds and ungodly belief systems that systemically invade the mind. The problem with curses is the mindset a person allows to develop inside of themselves. It becomes a belief system of lies. Curse breaking doesn't remove these thoughts that are contrary to what God believes about you. There is no curse breaking prayer that will heal this. This is a healing process that the soul must want to step into or otherwise fall back into the sinful nature of the curse they're trying to break free from. You need to make money off of someone who is down on their luck, or is cursed? You need to say, buy my book? Why couldn't you just tell them the prayer? Being a Christian, I would think that you wouldn't charge for helping them. Curse breaking is all over in my blog entries. At the end of the blog I also invite the reader to ask questions, which I would answer in future articles. Don't get sucked into a magic bullet prayer for this. Prayer is not methodical it is relationship based with Jesus. The basis for any curse breaking prayer is to take ownership of your family line, then repent and renounce the curse. Ask Jesus for forgiveness for believing the set of lies that you allowed to enter into your mind from the curse. That's it. Now you have to do the hard work and walk out of the sin. Again, this information is scattered throughout my blogs. Curses are hard to deal with because the soul must deal with the very nasty stuff the mind allowed in through the curse. The mind will naturally gravitate back to the ways while under the curse. This is where Jesus comes in and walks you through your healing. Jesus is about relationship. You can't walk this stuff out on your own. You will need pastors, Christian counselors, and solid standing church body members to help you through this journey. As for charging for books, it cost money to write books. We don't get rich off selling books. A lot of material was compiled in these books to help people out. People I work with directly who are in real situations I give the books to them. We're a ministry. It's the book we use in ministry. However, we don't have the capacity to help everyone. We're a small ministry with some powerful cases under the belt. The books are knowledge base, so if someone is serious about this ministry they would be eager to get their hands on these books. The second book was written for counselors and not lay people. A ministry has to charge somewhere, we have to travel, drive out to people, pay rent for office space, and so forth. There are logistics behind running a ministry. Being a Christian doesn't fill our tank of gas or pay our rent. Charging $10 for a book is not a big deal. Besides, the last book is on Amazon, and on an amazon kindle premium subscription it is available in ebook form for free. Michelle, thank you for writing in. 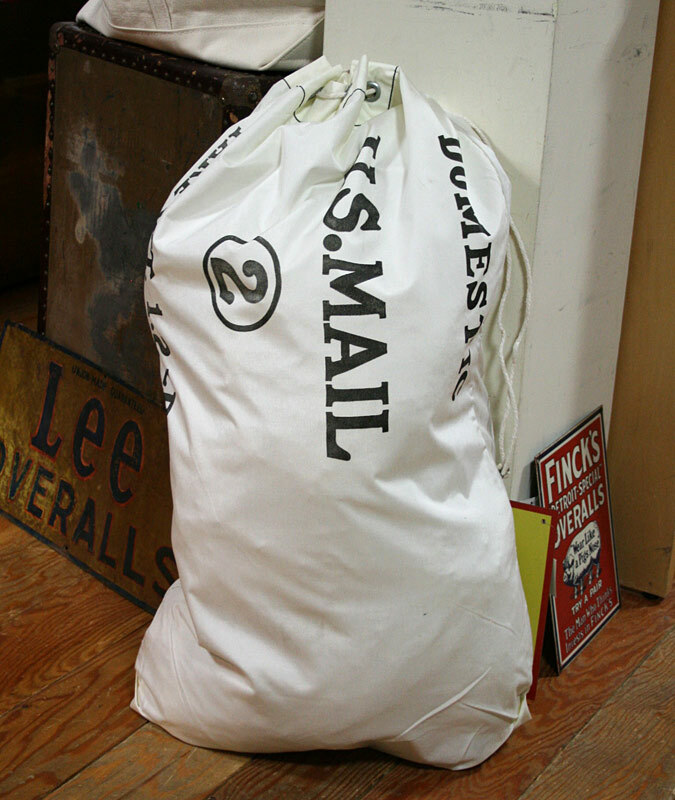 And that's it for the mail bag today.